Caleb is a dog. I’m not kidding: his name literally means dog. To be more specific his name actually means a rabid dog. What?! Yeah, but it totally fits his life. Caleb first shows up on the scene when the Israelites are getting ready to explore Canaan for the first time. They have just been delivered from Egypt and in about two months have arrived at the border of their promised land. Moses wants to send a representative from each tribe to scout out the land. So the first thing we learn about Caleb is that he is a leader of the largest, most powerful tribe in Israel (Numbers 13:1-3, 6). After scouting the land for 40 days, these men come back with a report for everyone. Halfway through their report, Caleb interrupts everyone—“We should go take the land right now, for we can certainly do it!” (13:30). Caleb was outspoken for God’s favor. He firmly believed that God was for them. Unfortunately, nearly all the other scouts (except Joshua) disagreed with Caleb. They warned that there were giants in the land that would eat them for lunch. 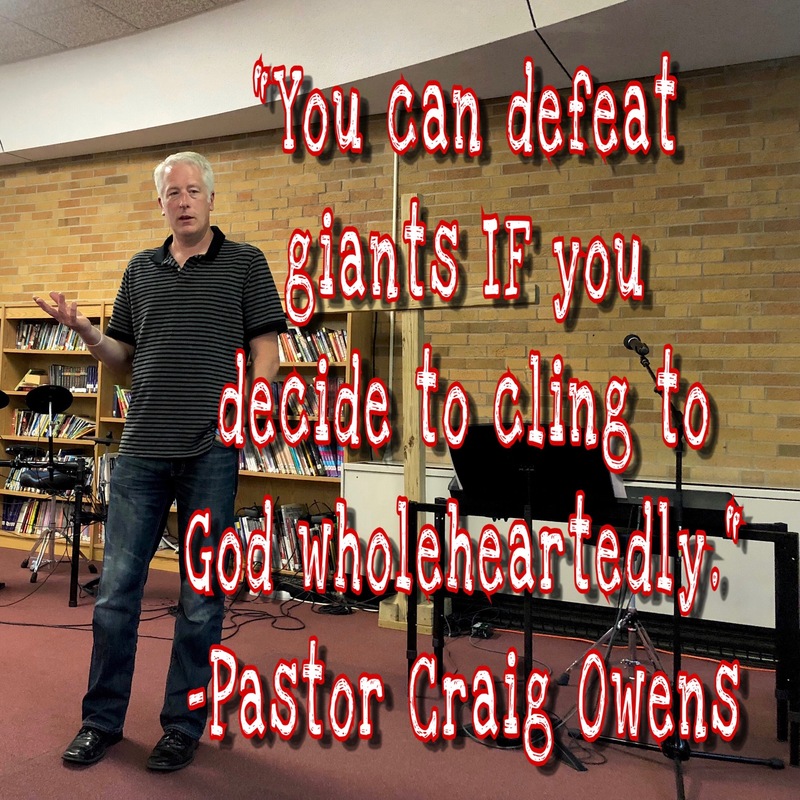 In essence, the same people who had seen God deliver them from the Egyptians and part the Red Sea for them now thought that God wasn’t able to defeat giants. This vocal majority turned the entire nation against Moses and wanted to return to Egypt! So God promised that none of the adults would enter the promised land, with only two exceptions: Joshua and Caleb. God pointed out that Caleb “has a different spirit and follows Me wholeheartedly” (Numbers 14:24). This is where we first learn that Caleb is rabid. The term rabid means zealous, intense, fanatical, inspired. Caleb is a man who is focused—intensely, wholeheartedly focused—on God. In fact, this word wholehearted is used about Caleb three more times (see Joshua 14: 8, 9, 14). After 40 years in the wilderness, and then five more years fighting to claim their promised land, Caleb was still raring to go. He told Joshua, “I am still just as strong as I was 45 years ago. I’m 85 years old and still ready to take on giants. Let me at ‘em!” And he did it! Caleb drove out three giants in order to claim his territory (Judges 1:20). But Caleb wasn’t done yet. He then used God’s favor to be a blessing to others. The Apostle Paul tell something that Caleb lived out: God will generously provide all you need. Then you will always have everything you need AND plenty left over to share with others (2 Corinthians 9:8). Without a word of complaint, Caleb gladly accepted not only the responsibility of letting the Levities live in the town he had conquered, but he also took on the added duties of making that city of Hebron a “city of refuge.” In this city, Caleb would keep anyone safe from those seeking their lives until a proper trial could be held. Caleb was successful for nearly 90 years because he was convinced that God was for him. Nothing could distract him from wholeheartedly clinging to God’s favor! Caleb was a warrior for God’s favor, and he was a successful warrior because of God’s favor. The same can be said of you IF you will decide to cling to God’s favor wholeheartedly.